Safely tying your horse up after a training session teaches him not only patience and respect, but it allows him the chance to think about and absorb what you just taught him. In search for the perfect place to safely tie his horses up for long periods of time, Clinton created Patience Poles. 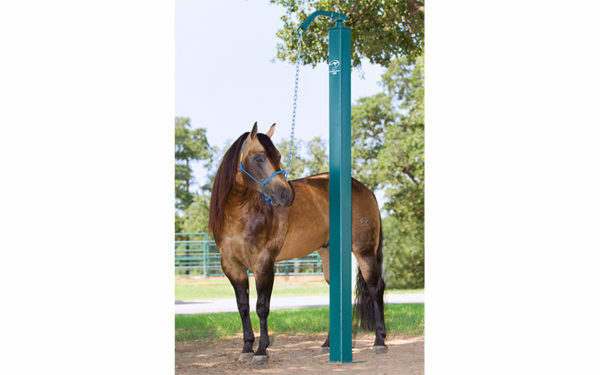 The 12-foot long Patience Poles are designed with a hub and tether bar to allow the horse to freely move in a circle without becoming tangled. 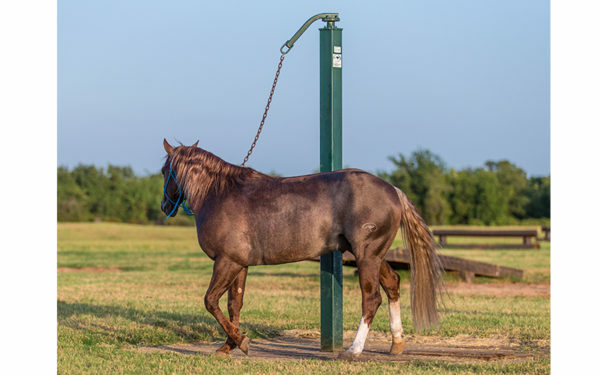 After a while, the horse realizes that no matter how much he moves, he’s never going to go anywhere, so he might as well stand still and relax. Made with an industrial grade bearing that never requires lubrication, the poles are attractive and require virtually no upkeep. Patience Poles are delivered to you and need to be set in 4 feet of concrete before use. Chain and snap not included. For additional information, please review our Patience Pole FAQs. Price includes shipping for domestic orders. International customers, please call our sales team at 888-287-7432 to order. Please allow 4 to 6 weeks for delivery. 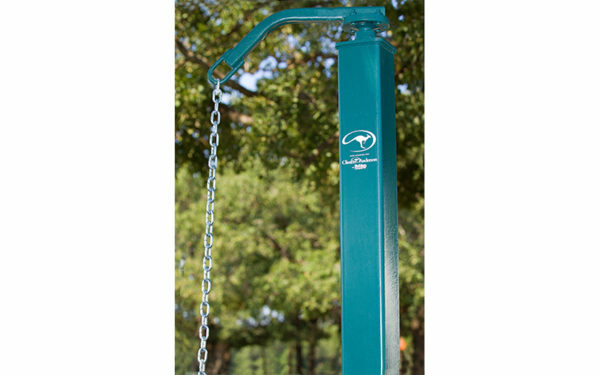 You will be responsible for unloading the Patience Pole from the trailer at delivery and will need to have the proper equipment to do so. The Patience Pole weighs 200 pounds.